Trial: How long does the trial last? The trial period is for 14 days, beginning from the time you complete registration. Trial: Is it possible to extend my trial? Trials cannot be extended past the 14 day trial period. It begins from the time you complete registration. Trial: Are all add-ons included in the trial? What features are included in the trial? How to buy: How do I renew my term license? To renew your term license, please contact an IBM representative. (A term license is a defined period of use for a "numbered" version of SPSS Statistics such as SPSS Statistics Version 25.) You can find contact options in the blue "Talk to an expert" tab on the right hand side of your screen. How to buy: How can I check the status of my subscription? Subscription renews automatically each month by default. You can prevent this by logging into MyIBM at myibm.ibm.com (link below). 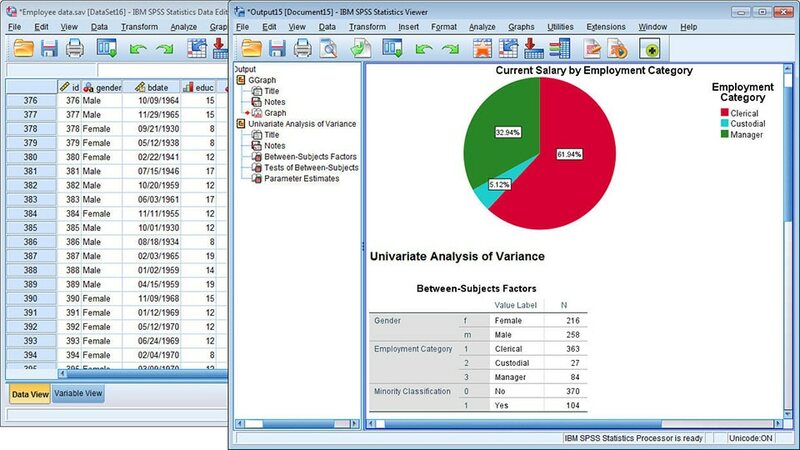 Find SPSS Statistics Subscription and click on “Manage.” In the "Overview" section under "Plan details" click "Cancel plan" and follow the prompts. After my Subscription trial has ended, do I need to re-install the purchased version of the software? Subscription supports macOS X Yosemite version 10.10 (or later), and Windows 7 (or later). Please visit the link below for more details.